As well as being a longstanding partner at the multi-award-winning design studio Pentagram, Angus Hyland is LKP’s Creative Director and the brains behind books such as the hugely popular The Book of the Dog and the much-anticipated title The Maze. We caught up with him to find out more about his fascinating career in graphic design and publishing. 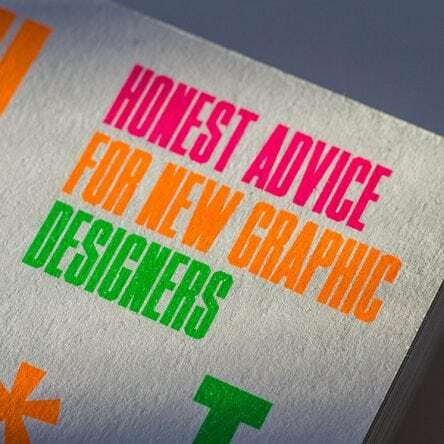 When did you first realise that you were destined for a career in graphic design? Good question. Possibly that was made easy once I realised when I was at school I had limited options for an alternative career choice. As a dyslexic (undiagnosed at the time), with a spectacular record for failing just about every exam (and sport), I found my few successes were all in the art class, with the exception of history and English lit because I read a lot (albeit slowly). An obsession with pop music and its associated album packaging coupled with a chance encounter with a Letraset catalogue were sufficient clues to point the way towards graphic design. Without a private income and no inheritance coming my way, I thought the pragmatic option lay with commercial, rather than fine, art. A good choice as it turns out. Were there any people who gave you a helping hand or were a real inspiration at the start of your career? I guess after reading possibly the first article on Peter Saville in The Face magazine circa 1981 (pretentious hipster that I was, I held a subscription from issue 1). I decided to apprentice from afar until 86/87 when, between graduation and my post-graduate course, I worked for the man during two summer recesses. Margret Calvert was an inspirational head of course at the RCA (and future godmother to my youngest son). And that genius of book design craft, Derek Birdsall, who was my professor at the Royal College. As the only classicist on my year we hit it off straight away, although I’m sure I was too foppish at the time to be taken too seriously. When were you first approached by Pentagram? Was it something you were expecting? Ha! You make it sound like the Security Service. I was ‘approached’ at some point towards the end of the previous century. I’ve been a partner here now for a shade over twenty years. Was I expecting the approach? Hmm, if I was being a tad presumptuous, you could argue that my profile at the time was about the right age and reputation. I’m sure there were many who thought, “Why him?”. Was it daunting joining a design company with such an amazing pedigree? It must have been, although I can’t remember being anything other than really excited at the opportunity it afforded me to learn and develop. I always think (and say) that above anything else being part of Pentagram has made me smarter. It’s been good for my brain. The morning I arrived here – and it’s an enormous space – a pigeon had shat on my new desk and they were fussing around trying to clean up the mess and encourage the blighter, who was flying about the vaulted ceiling, back out of the window. I took it as a good omen. The glass was half full. How did your job as creative director at LKP come about and what does it involve? How do you maintain a coherent style across such a diverse list? Is there a coherent style? I would hope it’s more accurate to say it’s about maintaining quality control. Anything beyond that could be described as having a ‘vision’ but I’m not so sure that is necessarily the work of one person; that should be considered part of a collective role. 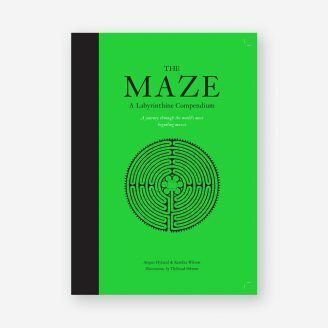 Can you tell us a bit about your new book The Maze? I wanted to call it ‘Let’s Get Lost’ to imbue it with a romantic sensibility, but in the end we settled on the straightforward title with a slightly arch descriptor ‘A Labyrinthine Compendium’. It’s part global guidebook, part garden history and part puzzle book. Plus there’s the brilliant illustrations by the wonderfully talented Thibaud Hérem and the irreverent and witty text by my good friend the gardening writer Kendra Wilson. What’s the best bit about what do you now? Not having to design on a computer. 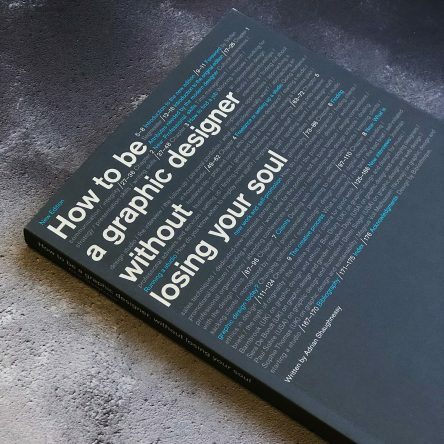 Not being able to design on a computer. Is it better to specialise or diversify? Is there a danger that if you diversify too much, you won’t be seen as an expert in any one area? What’s your strategy for managing your time when you’re working on multiple projects? Believe it or not, this is rather difficult even after thirty years of practice. Saying ‘no’ is usually the result of experience and can involve a number of straightforward reasons or mitigating circumstances. These can range from not making a profit based on projected time, to simply being too busy to commit enough time to the task. What’s the best way to stop yourself getting stale or burning out? Eat a peach. Go for a walk. Catch an exhibition. Do some exercise. Chop wood. Paint a picture. Avoid graphic design. Social media provides a great platform to promote yourself, is it still possible to get noticed without it? Probably not. I’m from a generation that gained publicity prior to social media. I’m not currently active on social media; perhaps I should be although I’d rather not bother unless I’m forced to. Who knows, we’re still in the infancy of these platforms so I reserve judgment. If you could go back in time and spend a day in any design studio, where would you choose? Studio Boggeri in Milan, when Max Huber was there; the late 50s or maybe early 60s when Bruno Monguzzi arrived. Italian style meets Swiss rigour. Very Mod. If you won the Euromillions on Friday, what would you do with the money? I would invest it wisely in great art, my greatest pleasure, and if I felt sufficiently secure to be philanthropic, I would bequeath it to the nation. See Angus’ beautifully considered graphic design work for Pentagram here.